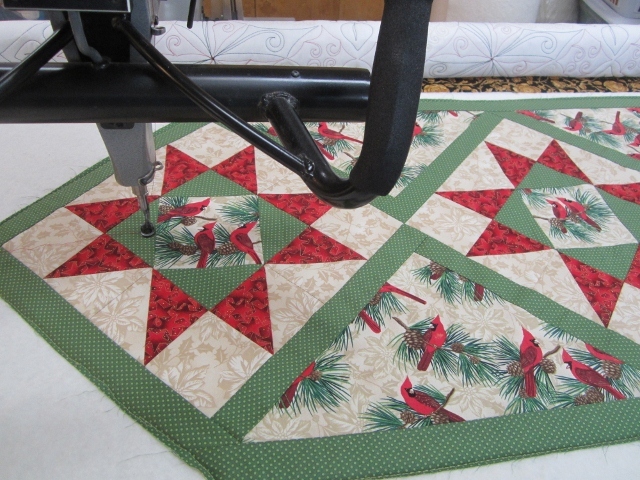 I am machine quilting my two Christmas runners today. Monday will be back to customers quilting again. The Christmas rush is started.